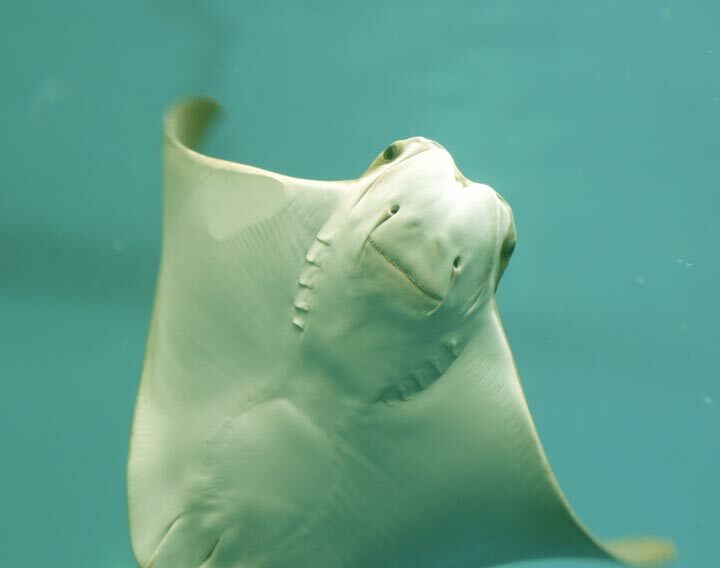 Home to everything from bottlenose dolphins to cownose rays, from hermit crabs to loggerhead turtles, from least terns to great blue herons — nature abounds on Pensacola Beach. 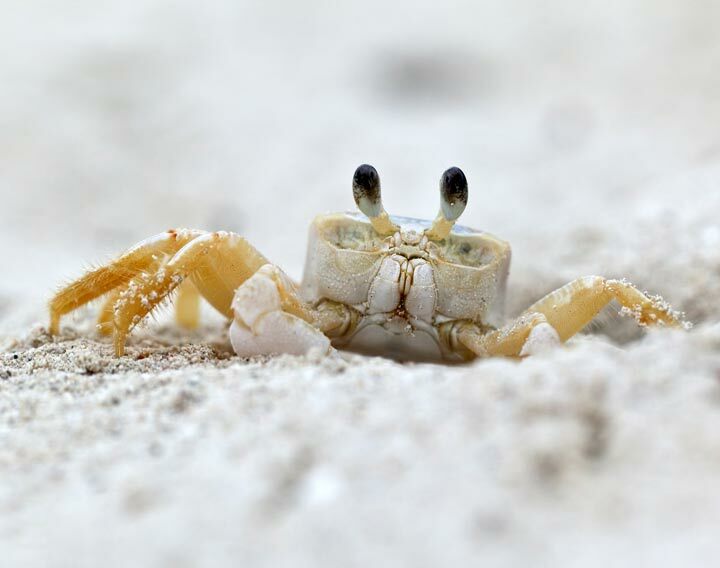 Our coastal barrier island always has a diverse and interesting selection of wildlife to amaze every visitor. 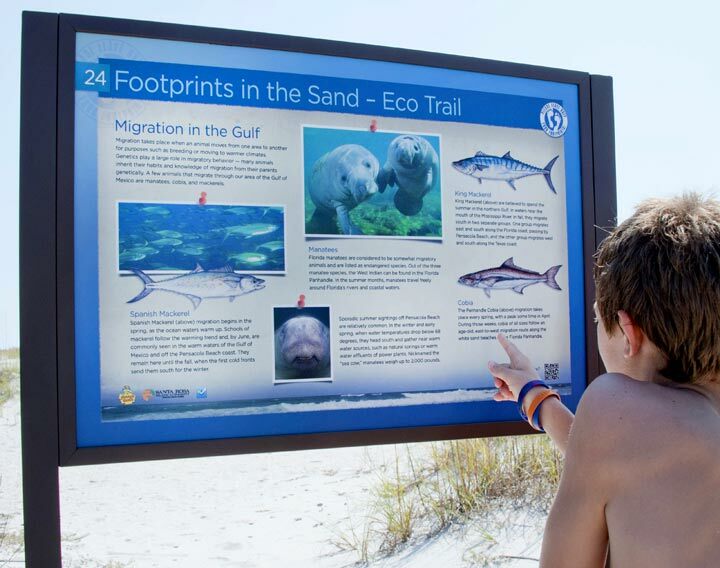 Tourists who travel to Pensacola Beach to experience its natural beauty and the creatures who inhabit it have even more to discover when they take advantage of the Footprints in the Sand Eco-Trail. The 8.5-mile trail showcases the unique aspects of the island’s ecology. Running from shore to shore, visitors can walk, bike, drive and run to the 29 stops scattered across Pensacola Beach. Each stop along the trail tells a different ecological story about the flora and fauna of the region, and provides pictures and maps to help guide you in exploring. 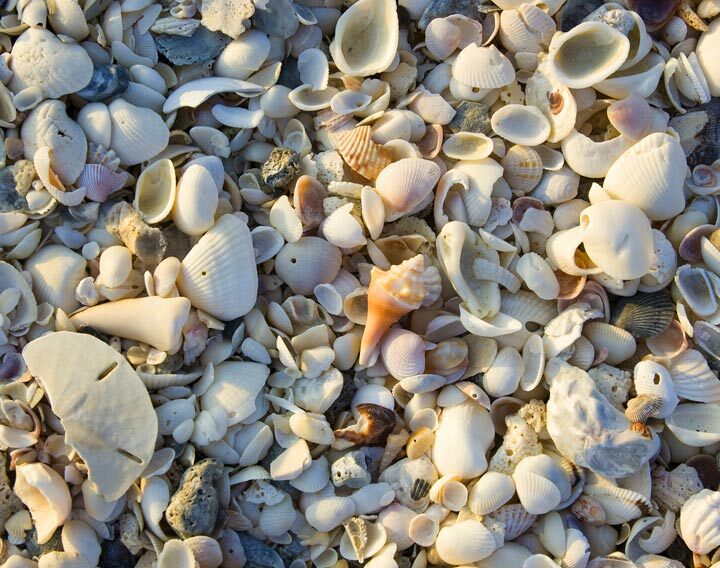 Discover the secret to Pensacola Beach’s white sand and the reason why it squeaks when you walk on it. Learn about the different types of dolphins in our Gulf waters, and then try to spot each of them when you go on a dolphin cruise. 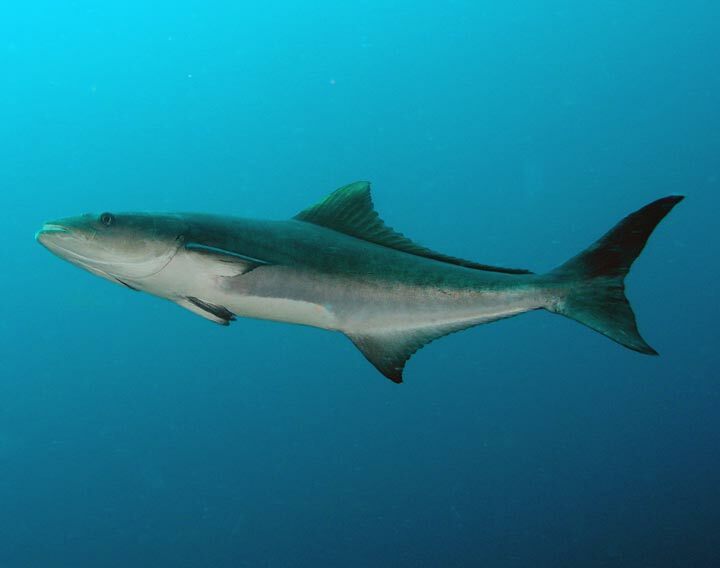 Gulf life in the immediate and offshore waters of Pensacola Beach is expansive. The Footprints in the Sand Eco-Trail explains the different species of sharks, fish, crabs, shrimp and additional sea life you can find by the season while swimming, snorkeling or diving. Discover the three species of sea turtles that nest on Pensacola Beach in the spring. Then find out how to protect a precious nest, or what to do if you spot hatchlings crawling the beach trying to make their way to the water. 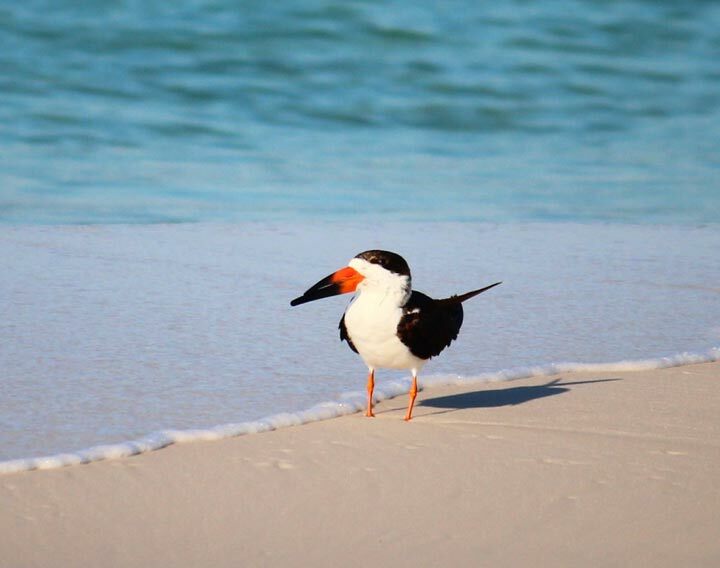 If you’re an avid bird watcher and tracker, the Eco-Trail guides you through the shore, wading, nesting and coastal sea birds you can spot when walking or hiking beach trails. The laughing gull is a favorite that gets its name from “laughing” high in the sky after it takes food from another bird or unsuspecting visitor. The birds, turtles, and crabs that walk, crawl, and jump across the sand all leave different tracks behind. Spotting and following these footprints is another way to experience the beauty of nature along the trail. 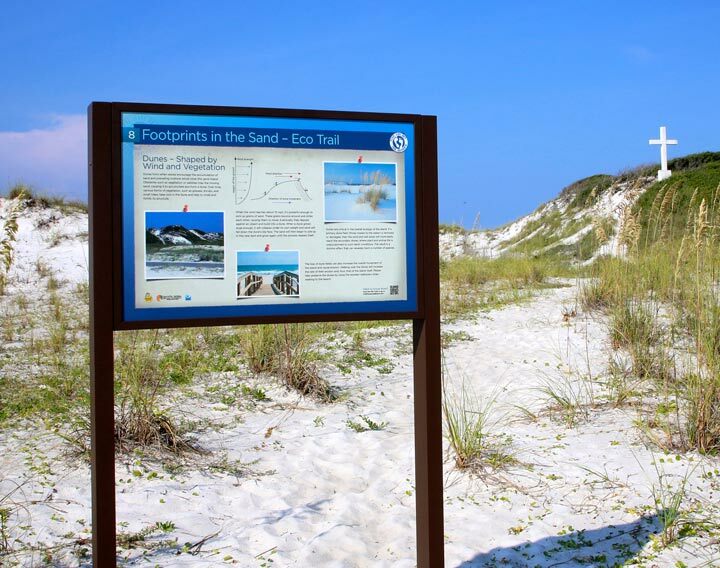 The “Footprints” portion of the trail’s name is also a reminder to all that conservation is key on the beach: After you visit, LEAVE ONLY YOUR FOOTPRINTS BEHIND.